Conceived by the brilliant engineering minds of Subaru Tecnica International, and developed with the input of professional racers, this is the most hard-core, responsive WRX STI to date. WRX STI Limited in WR Blue Pearl. 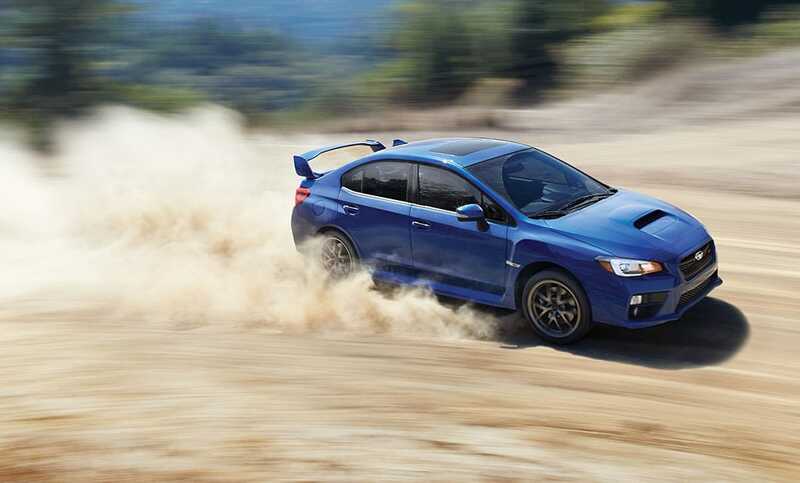 The WRX STI has a 4-wheel independent suspension with aluminum front lower control arms, and a double wishbone rear suspension—tuned and tweaked by Subaru Tecnica International. Body roll is almost non-existent, thanks to pillow-ball joint mounts and bushings throughout, optimized spring-rates, and just the right amount of sway bar stiffness. Working in unison with an ultra stiff unibody chassis, the WRX STI corners with precision and holds lines better than any sedan has the right to1. The EJ25 is battle-tested and race-proven. 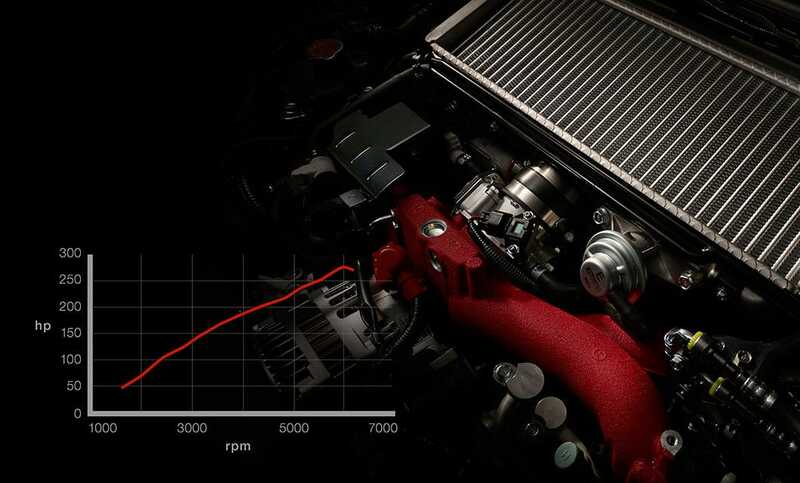 This 2.5-liter, turbocharged SUBARU BOXER® engine with 305 horsepower, 290 lb-ft of torque is the product of years of refinement, and can help accelerate the WRX STI from a standstill to 60 mph in 4.6 seconds12. Its STI-exclusiveness means rock-solid reliability and virtually endless performance potential, ready to be unleashed..
There’s a reason why the name Brembo® demands such respect. Case in point, the braking system of the WRX STI. 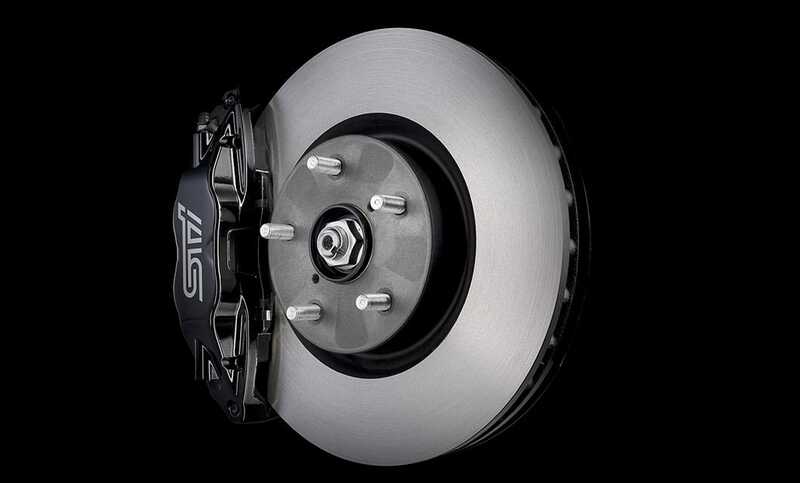 With powerful ventilated 13-inch front and 12.4-inch rear rotors coupled with 4-piston front and dual-piston rear calipers, and aided by the technological wizardry of Super Sport ABS with Electronic Brake-force Distribution (EBD), this setup more than lives up to the Brembo® pedigree. They offer powerful, progressive, and predictable braking feel from the first lap to the last1. The venerable 6-speed manual of the WRX STI is a work of mechanical art. With impeccable street cred and a bulletproof reputation, the latest incarnation gives you the ultimate in hands-on control. Tempered in the fire of competition, its legendary gearbox is designed to provide rock-solid and precise shifting feel, from the streets to the racetrack1. The WRX STI is known for amazing corner exit speed and its near supernatural ability to grab traction where other vehicles can’t. That’s because it’s underpinned by one of the most advanced, and proven AWD systems available. Orchestrated by the Driver Controlled Center Differential (DCCD), the Symmetrical All-Wheel Drive system of the WRX STI, can distribute more power to either the front or rear wheels, depending on conditions and driver preference. There’s also not one but two limited-slip differentials, it’s no wonder the WRX STI offers competition-level handling and traction lap after lap. 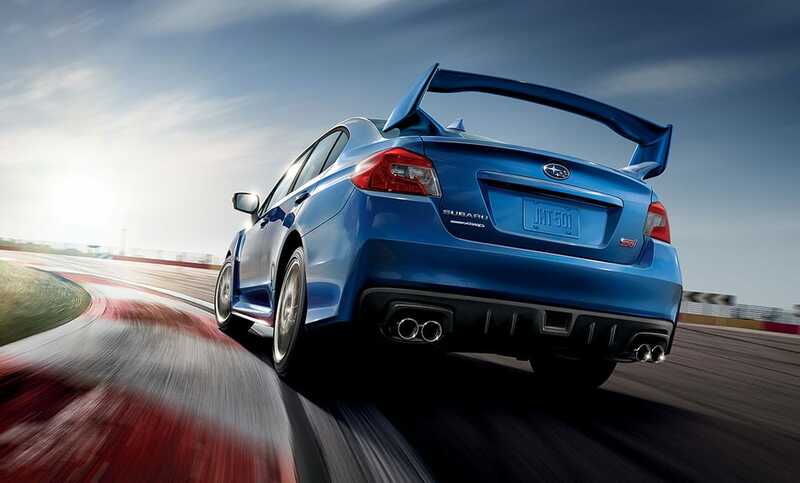 Helical in the front, and Torsen® in the back—they’re one of the many reasons the WRX STI is such a formidable foe1. 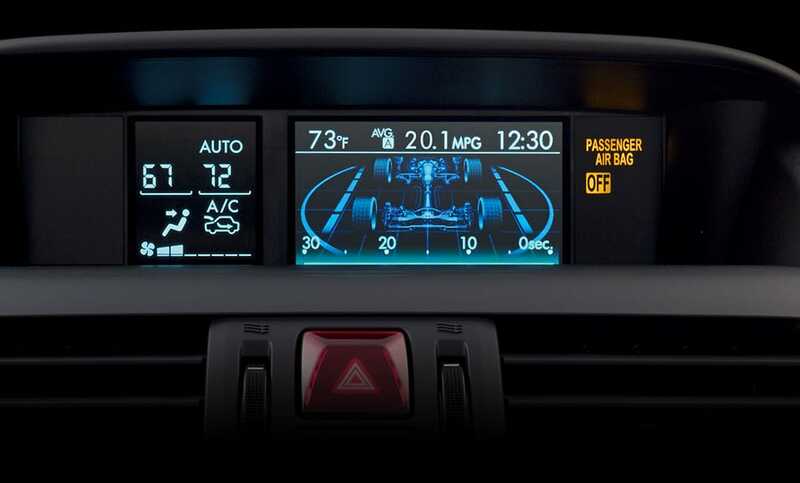 The WRX STI features innovative technology that helps you drive better, and offers you’re a customized driving experience. Multi-mode Vehicle Dynamics Control with Active Torque Vectoring enhances handling performance by braking the inside front wheel to sharpen turn-in and allow for more neutral steering. 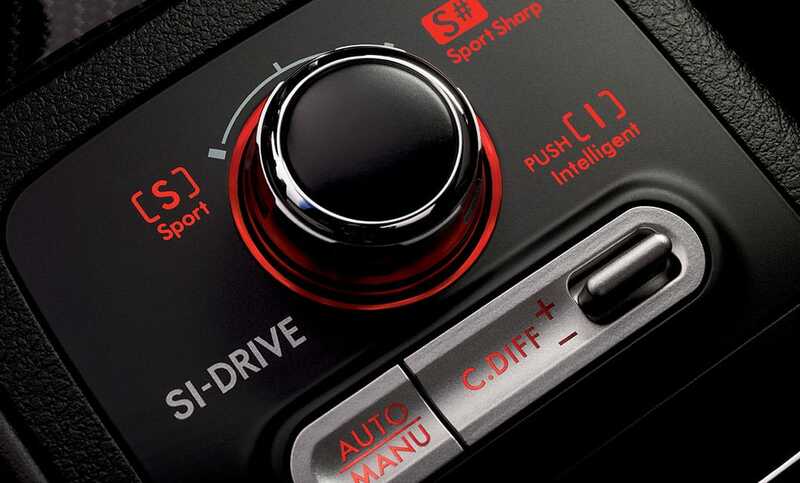 SI-DRIVE lets you adjust the way your WRX STI performs with three distinct settings—Intelligent, Sport and Sport Sharp. Ideal for wet roads or stop-and-go traffic, Intelligent mode softens throttle response and reduces acceleration for a more relaxing drive. Between Intelligent and Sport Sharp modes, Sport mode is just the right balance of smoothness and strong power delivery for great all-around performance. Sport Sharp mode unleashes the WRX STI engine’s full potential, giving you maximum acceleration and performance when you need it1.